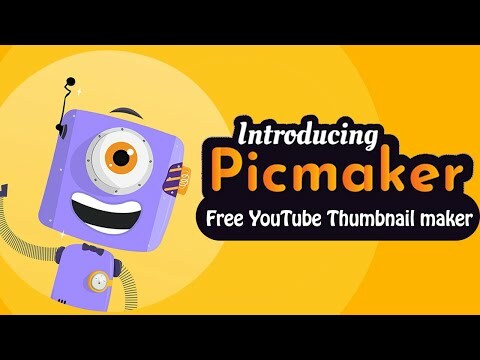 Picmaker is an online design solution that helps create stunning YouTube thumbnails, channel art, and IGTV covers. It is a simpler and faster alternative to expensive and complicated design tools that are available today. Advanced features like background remover tool and sticker effect tool make it really simple for anyone to create an awesome thumbnail in just a few clicks. Picmaker was added by Picmaker in Sep 2018 and the latest update was made in Jan 2019. The list of alternatives was updated Mar 2019 There is a history of all activites on Picmaker in our Activity Log. It's possible to update the information on Picmaker or report it as discontinued, duplicated or spam. Pikiz helps you easily create and share beautiful images to engage your friends, followers or customers. Adobe Spark lets you easily create social graphics, web pages and animated videos. Alternatives to Picmaker for Web, Windows, Mac, iPhone, Linux and more. Filter by license to discover only free or Open Source alternatives. This list contains a total of 25+ apps similar to Picmaker. Maybe you want to be the first to submit a comment about Picmaker? Just click the button up to your right!